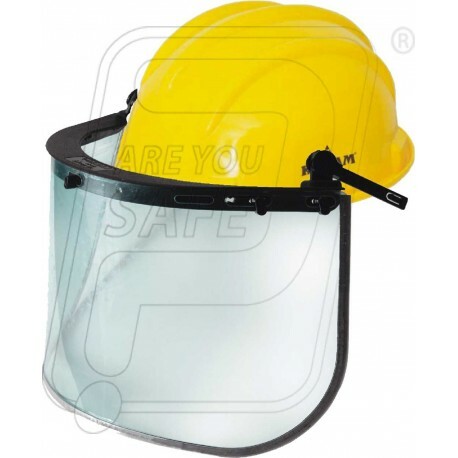 Material Visor made from polycarbonate with holding bracket. & Helmet made from HDPE. Features It protects the eye from harmful industries radiation. Fitted with ratchet helmet of karam. Approval EN 166 IS: 2925. Application Metal cutting operation, chemical industries, spray painting petroleum industries, carpentering iron & steel industries electrical welding etc.